Research data estimates that approximately 10-20% of children under 3 years of age show delays in the development of expressive language, and that out of these, a percentage varying between 20 and 30% will go on to be diagnosed with a language disorder. This book is not only innovative in the rehabilitation field but it is also a valuable practical tool, presenting an intervention programme which can be used by speech therapists and psychologists with parents of children with language development delays. 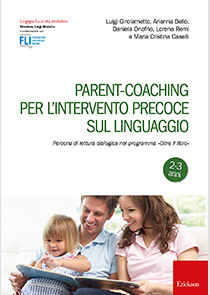 Based on the family-centred referral model, particularly suitable for the 2-3 years age group, this field-tested programme is divided into 6 sessions offering shared reading in an interactive setting designed to encourage the development of children’s vocabulary and combinatorial language using specific strategies. The book comes with enclosed and downloadable extra material for professionals and parents. Fifth session: Not just books! A series for disseminating knowledge on interventions in developmental disorders using an evidence-based scientific approach. It targets speech therapists but in actual fact is of interest to all those who work in rehabilitation, due to its inter-disciplinary spirit and multiprofessional approach. 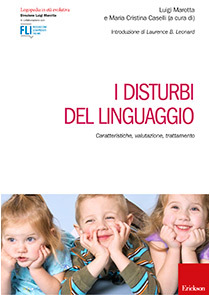 The series, in light of cultural changes introduced by EBM, aims to include contributions from those who, through training and experience, are involved on a daily basis in speech therapy interventions in developmental disorders, as part of an inter-disciplinary team caring for these children. 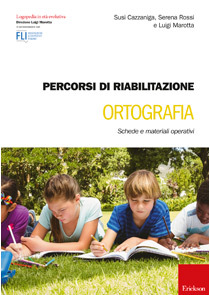 The intent is to offer a panorama of rehabilitation proposals for different development profiles, together with a general overview of the various problems, offering new insights or conceptual redefinitions, consolidated approaches or more original initiatives, supported by recognised, plausible models of theoretical reference. 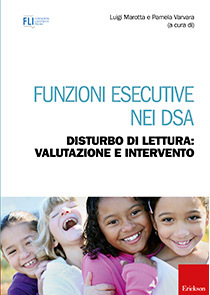 All the books are characterised by an attempt to combine deliberation and enthusiasm, giving space both to contributions from leading clinicians who have been working in the field of developmental disorders for years and from young professionals who are passionately and enthusiastically building their own experiences. The books are extremely practical in nature, with a presentation of diagnostic criteria, agreed assessment protocols, intervention techniques and clinical cases. 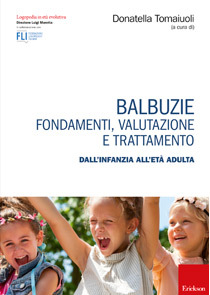 The approach is based on the «biopsychosocial» model, with close attention paid to the child as a person, and to the environment where they live, as well as to neuropsychological correlations. 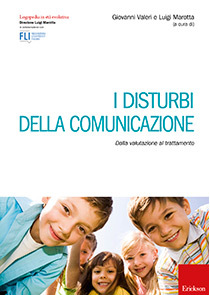 The series «Speech therapy in childhood and adolescence» is and always will be open to contributions from all those who work with children and adolescents, as the composition of the Scientific Board proves, numbering, in addition to speech therapists of long-standing experience, up and coming young professionals and experts from other disciplines such as psychologists, child neuropsychiatrists, nose, ear and throat specialists and pedagogists. Rehabilitation intervention manuals, which are extremely practical in nature and always evidence based. Over the last few years speech therapists' areas of interest within the field of developmental disorders have multiplied and changed, requiring ever more specialised competences. What is more, the number of children born in disadvantageous conditions is still high. 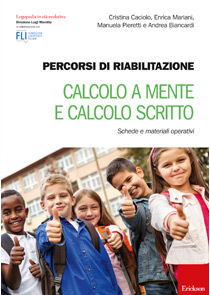 These children manifest pathologies which can alter cognitive and neuropsychological development and can no longer simply be classified as what was once known as «cognitive deficit» (even mental retardation) or «language deficit» or «reading and writing disorder» etc. Instead these children manifest complex, differing pathologies, although in many cases with comorbidity among them: pathologies which go from specific language or learning disorders to memory and attention disorders, from the effects of connatal or acquired brain lesions, to those of other pathologies, like for example epilepsy or infections from HIV or from treatment with certain medicines. So what are the best intervention practices, what assessment criteria for appropriacy, efficiency and effectiveness should be used and how should outcomes be measured? The terms appropriacy, good practice, effectiveness indicators, multiprofessional team and so on, are all used on a daily basis by rehabilitators, often mainly to make us feel better and demonstrate our ability to recognise the transformations that the Italian Health System has undergone in the last ten years. Evidence Based Medicine (EBM) has revolutionised the scientific world, as much in practice as in theory. From self-referential medicine, based on the experience and trends of the luminaries, we have moved over to science where proof and scientific evidence count. A revolution which certainly happened for economic reasons as well, but one that has profoundly changed both principles and tendencies in the complex world of rehabilitation. EBM is, in fact, a cultural movement which quickly spread at an international level, due to the many phenomena which marked the evolution of the methodology of clinical research and scientific information. One of its main objectives was to question the dogmas dictated by traditional models of medicine, liberating health workers from the authority of the opinion leaders, as was once the custom, and offering them the chance to independently and critically assess the quality and validity of their own clinical choices, using experimental and bibliographical data to decide.